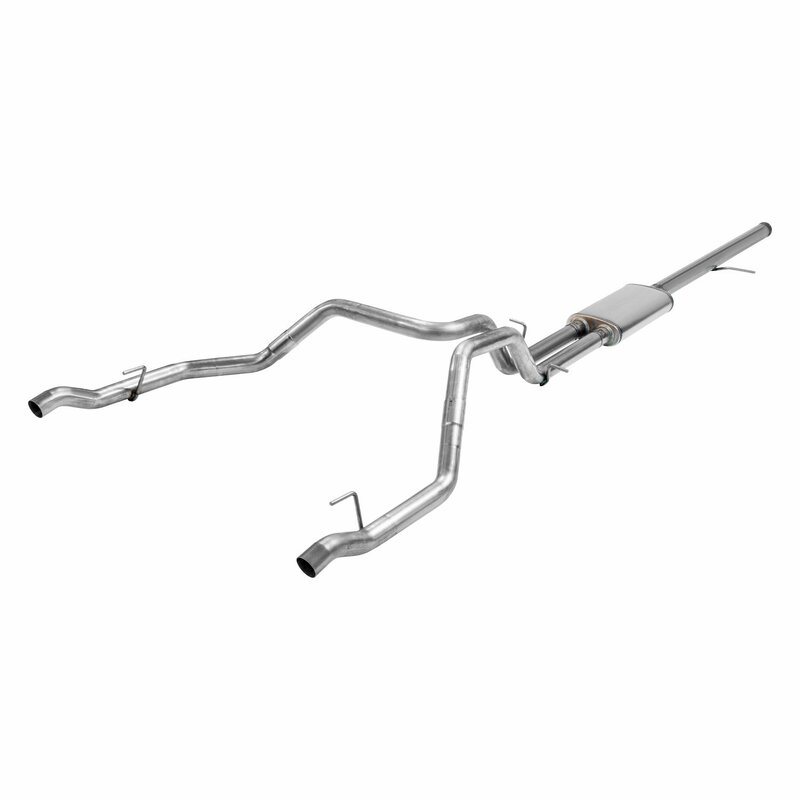 This FlowFX cat-back exhaust system is designed for the new 2019 GM Silverado/Sierra 1500 trucks (new body style) with 5.3L engine and factory dual exhaust. 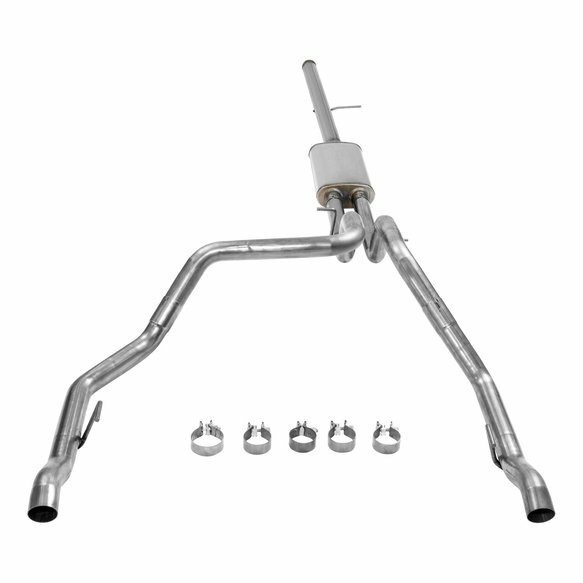 The complete system is manufactured using durable 409S stainless steel throughout and features a 3.00 inch inlet pipe leading to a single inlet/dual outlet FlowFX "straight-through" muffler for a moderately aggressive deep sound and maximum performance. 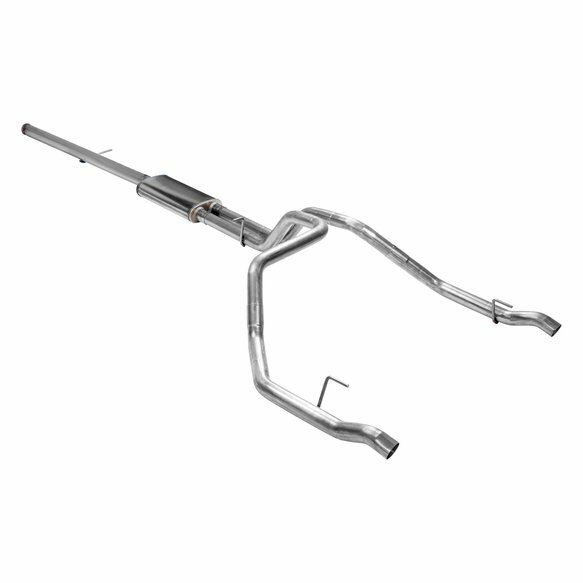 The dual 2.50 inch mandrel bent tailpipes are customed routed to clear the factory spare tire and tow hitch without any clearance issues and exit out through the OEM exhaust bezels in the bumper, retaining the factory dual exhaust appearance. Another well engineered feature is the system uses all the factory hanger locations saving you time and effort during install. Includes installation instructions and all necessary hardware for an easy installation that can be done at home. Notes: Fits 2wd and 4wd models. Does not fit Crew Cab 2WD with 2 pc driveshaft. 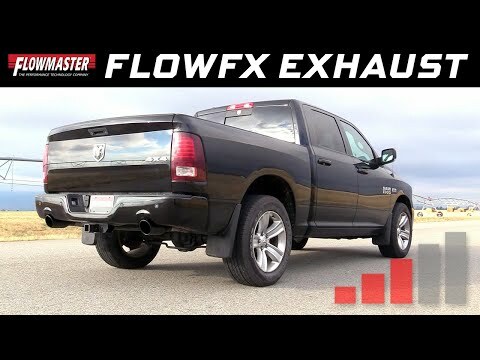 Does not fit 2019 LD/Classic body style or trucks with factory single exhaust system.